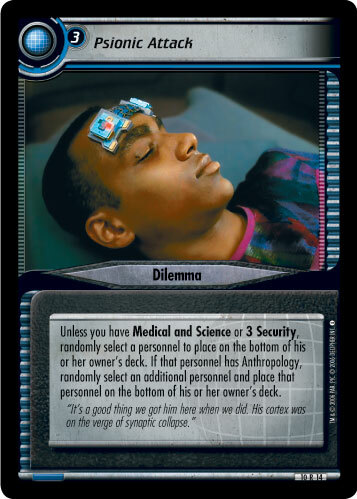 Unless you have Medical and Science or 3 Security, randomly select a personnel to place on the bottom of his or her owner's deck. 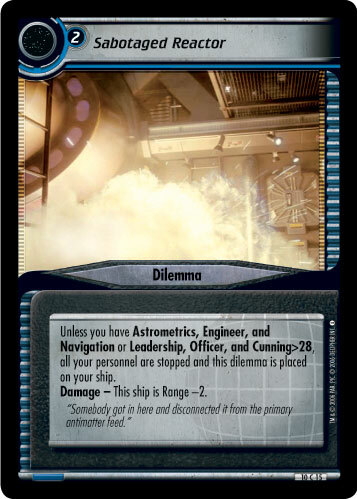 If that personnel has Anthropology, randomly select an additional personnel and place that personnel on the bottom of his or her owner's deck. "It's a good thing we got him here when we did. His cortex was on the verge of synaptic collapse." 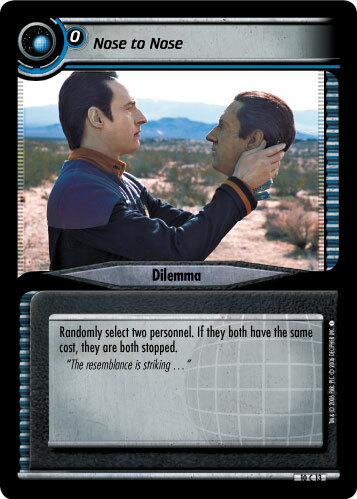 Image Source: Deep Space Nine: "The Muse"